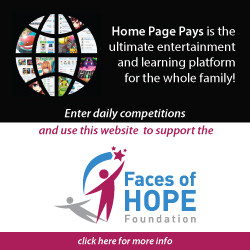 Faces of Hope hosts the first event of the year to raise funds. Mad Hatter: Why is a raven like a writing desk? Alice: Riddles? Now let me see… why is a raven like a writing desk? Mad Hatter: I beg your pardon? Alice: Why is a raven like a writing desk? Mad Hatter: [alarmed] Why is a what? March Hare: Careful, she’s stark ravin’ mad! Mad Hatter: Easy, don’t get excited! March Hare: How about a nice cup of tea? Alice: “Have a cup of tea,” indeed! Mad Hatter: Well that’s an idea? Mad Hatter: To have a cup of tea… a Mad Tea Party! March Hare: [slices a tea cup in half] Just half a cup, if you don’t mind. Join me for Tea and a Movie? Time: 14:30 for 15:00 –don’t be late or you’ll be called naughty! Dress code: Strictly Mad as a Hatter & Wonderland Inspired! 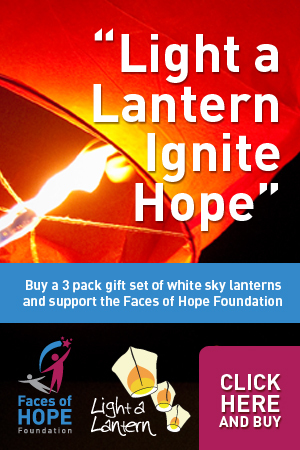 Donation: R220 per person (includes donation, fantastical Tea Party refreshments and 3D movie on release weekend) All proceeds in aid of Faces of Hope Foundation. 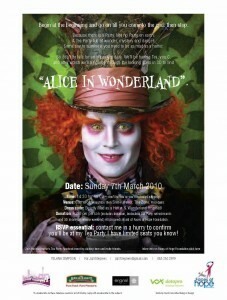 RSVP essential: contact me in a hurry to confirm you’ll be at my Mad Tea Party- I have limited seats you know!